The latest Sony Xperia 20 megapixel smartphone seems like taking on the Samsung Galaxy S4 and Nokia Lumia 1020, also known as EOS. Bam! This Sony phone is expected to be announced on July 11. 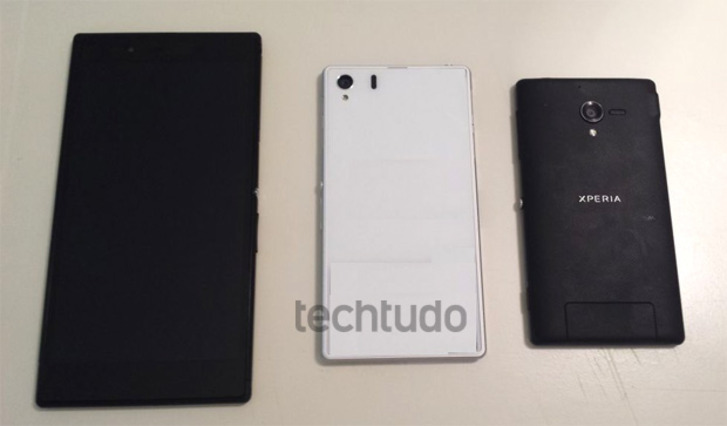 Spotted by the Brazilian tech site Techtude, it is claimed to be the latest Sony Xperia i1 smart phone which has previously gone by the Honami code name. As mentioned before, the biggest attraction of this smartphone is set to be the camera, just like its rivals. According to the Brazilian tech site, Honami i1 has a 20-megapixel camera but the flash is still LED which will keep it below the par of Samsung and Nokia Lumia. Apart from camera, other specifications include a 2.3GHz Qualcomm Snapdragon 800 processor which is definitely the best US chip bringing Sony Xperia i1 to super phone category. In the hardware specs, screen size is speculated to be around 5.4 inches. The design looks pretty thin and includes slots for microSD and mircoSIM on the side – the way of iPhone. Hence the back will then not be removable and neither its battery. The front and rear of Sony i1 are covered in glass. We will try keeping you updated as more rumors come up for the Sony Xperia i1. For now, no announcements or rumors for release dates have been seen but many are expected.